[dropcap]S[/dropcap]ometimes it’s hard to be productive. If you are anything like me, between my career and family I am constantly on the go. Many things should be done and there are many distractions that interrupt focus. Over the years I’ve gotten significantly better at time management and I have many of these free online tools to thank for it. Here are some of my favorite free online tools to boost productivity that I use frequently. They all are free, but some will offer pay for premium to receive additional features. Workflowy is a wonderfully intuitive to-do list. It looks like a word document but is ingeniously intuitive in use. Organize your work in hierarchies and bulleted lists, and give your details different tags. Definitely increases my productivity. Highly recommended! Feedly is an RSS reader which you can collect feeds from your favorite reading sites . It’s also very good at helping you find new content sources to follow through their search function. Expect that you usually find the most popular sources. The service is also very good looking and easy to use. Available as plug-in and app. I absolutely love this! It’s a huge convenience to read all my site news in one place. Pocket lets users save articles to read later on, simply by pressing a button on the pocket icon in your browser. You can also tag your saved items. The service is popular and integrated into other services, such as Feedly, where you can easily save an article to read later. Pocket is available as a plug-in and app. Trello is a stylish and simple project management tool that lets you organize projects in different boards for easy viewing. Multiple users can be part of the same project and change. Trello is web-based and available in free and paid version. Difficulty concentrating due to addictive social media? Then Simple Blocks might be your solution. The service allows you timed access to selected websites. Recommended to make it even more difficult to get in on Facebook even though you logged out and said to yourself not to log on 30 minutes. Available as a plug-in for Google Chrome. A simple yet secure password manager, that remembers your passwords so you can focus more. LastPass can be shared or kept private. FREE! The setup takes minutes, then LastPass will prompt you to save new sites as you browse. A free collaboration tool that eliminates the need for internal emails. It includes features such as group and private messaging, inline images and videos, rich link summaries, and notifications. Slack integrates with Twitter, Dropbox, and Google Drive, and automatically syncs between your computer, smartphone, and tablet. It is available on desktop and as an app. Helps you find free high quality stock photos for personal, or commercial use. Pexels has a search engine type feel and allows you to do free searches or browse through new or popular photos. A simple task management tool that helps you coordinate and get more done. Any.do helps you move forward by syncing your daily life, work tasks, and personal goals even when on the go. An innovative service that allows you to create recipes to automate tasks. ‘If this, then that‘ is FREE and integrates with dozens of different channels (social media, photos, email, apps and much more. Set up automatic saving of images/posts to archive in a specific location. You can create your own recopies or browse the user submitted collection. Example: If someone follows me on Twitter (This) write the details to a Google spreadsheet (That). Another Example: If I Like an image (This) on Facebook I can auto save the image to DropBox (That). Hope you find some of these as useful as I have. 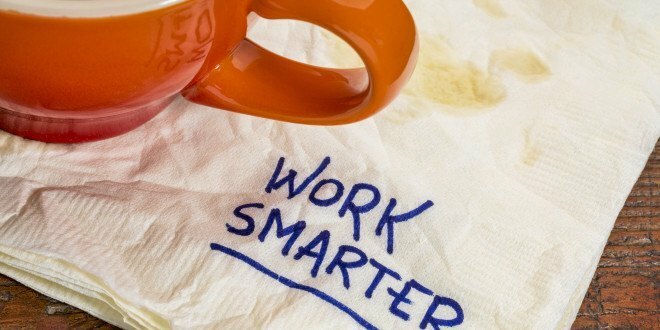 Remember: Work Smarter Not Harder!